Even rollovers that don't result in taxable income must be reported on your return. 3. Can I Borrow Money From an IRA and Put It Back Next Month? If you withdraw money from your retirement account but later decide you don't need the distribution after all, you might be able to put it back in your retirement account if you act fast enough. The Internal Revenue Service calls this process of taking money out of a retirement account then putting it back a "rollover," even if it goes back into the same retirement account. You're limited to how often you can take advantage of this grace period, however. Generally speaking, you will have the opportunity to redeposit funds removed from a retirement account within 60 days of the withdrawal without being forced to pay taxes or other penalties. You generally have 60 days from the date you receive the distribution from the plan to redeposit it as a rollover. As long as you redeposit the money into the same retirement account or another qualified retirement account within this grace period, you won't owe any taxes or penalties. If you don't roll over the money in time and don't get receive a special waiver from the IRS, however, you'll owe income taxes on the distribution. Unless you're at least 59 1/2 years old, you'll also owe an additional 10 percent tax penalty. When you redeposit the money, you have to return the same amount that was withdrawn, including any taxes withheld. For example, if you requested a $20,000 distribution but received a check for $18,000 because $2,000 was withheld for income taxes, you would have to redeposit $20,000 to complete the rollover. If you only redeposited $18,000, you'd have to treat the remaining $2,000 as a permanent distribution. The 60-day grace period can be extended under certain circumstances. It's automatically extended if the financial institution receives the money within 60 days and you followed the financial institution's rules for depositing the money, but it was not deposited solely because the financial institution made an error. The money must be deposited within one year of the end of the 60-day grace period, and it would have been a valid rollover if the financial institution had not made the error. If you don't qualify for an automatic waiver, you might be able to apply for a hardship waiver. The IRS considers whether the financial institution made errors, whether you didn't complete the rollover within the 60-day grace period because of death, disability, being in prison or overseas or an error by the post office, whether you used the money such as by cashing the check, and how much time has passed. For example, if you didn't complete the rollover in time because you had a heart attack two days after you took the distribution and were incapacitated for three months, you'd probably qualify. However, if you just forgot to redeposit, you won't get a waiver. You're limited to using the 60-day grace period to roll over one distribution per account during a 12-month period. For example, if you replaced a distribution from your traditional IRA in May and then took another distribution from that same account in October, you wouldn't be able to roll over that distribution back into the IRA. However, if you took the distribution from your 401(k) plan and you hadn't rolled over a distribution from that account in the past 12 months, you could redeposit that distribution into your 401(k) plan. You can't use the 60-day grace period for certain distributions from your retirement accounts if you can't roll them over into another retirement plan, no matter how fast you redeposit the money. For example, you can't put back required minimum distributions from the plan or distributions that are part of a series of substantially equal payments. You also can't put back hardship distributions or distributions of dividends from employer securities taken from employer-sponsored plans. Finally, you can't put back corrective distributions, which are distributions taken to fix excess contributions. Even though you won't owe any taxes if you complete the rollover within the 60-day grace period, you still have to report it on your income tax return. Using either Form 1040 or Form 1040A, report the amount of the distribution as a nontaxable IRA distribution or nontaxable pension distribution. Then, assuming you returned the entire amount within 60 days, report $0 for the taxable IRA distribution or pension distribution and write "rollover" next to it to let the IRS know what you did. Finally, if your financial institution withheld any money, include that amount as part of your taxes withheld for the year. What Is the Maximum Withdrawal From an IRA? 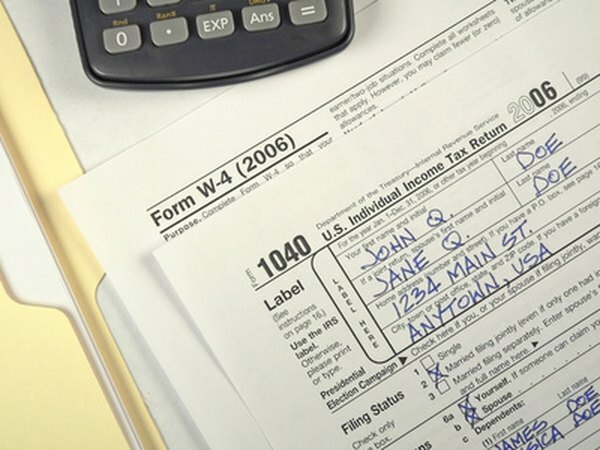 Are Early Withdrawals From Your 401(k) Counted as Taxable Income? Can an IRA Distribution Be Put Back? How Many Days to Roll Over an IRA Disbursement?